Other Community Events Leading Up to Celebrate Earth Day ! 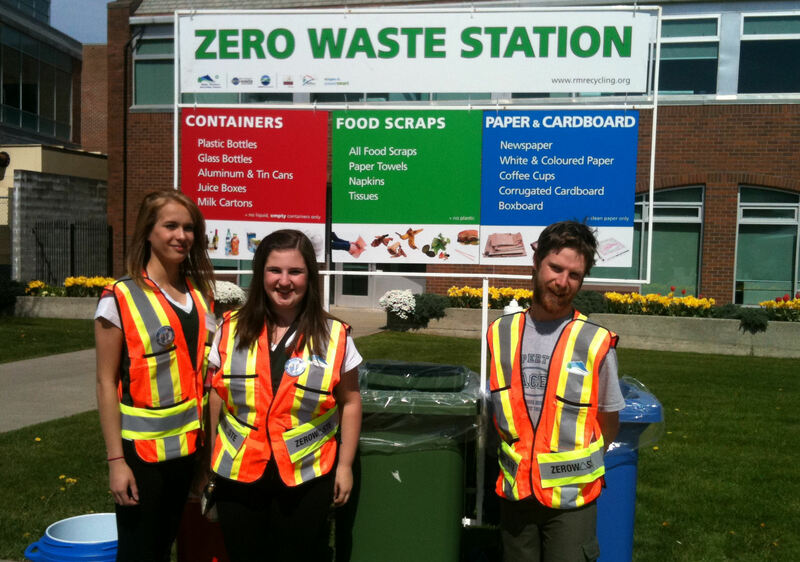 We have been working with Maple Ridge Pitt Meadows Parks & Leisure Services & the Community Festivals Network to promote recycling at events and festivals throughout the year. Recently one of the pieces of this complex puzzle fell into place when we received a number of Zero Waste Stations! These stations consist of three different bins which are labeled with signs showing what items can be recycled in the community plus a garbage can with a large “STOP” sign on it. Instead of throwing everything in the garbage, event-goers are encouraged to sort items into the three recycling bins. Zero waste stations work best when they are strategically placed throughout the event site and have an attendant with them to teach people what can be recycled or composted. Ideally, they replace garbage cans on site, so all waste goes to the stations and little or nothing ends up going to the landfill. In our stations, the first bin is for glass, metal or plastic containers. The second bin is for clean paper products, including newspaper, card board or white paper. The third bin is for food scraps and soiled napkins and tissues. 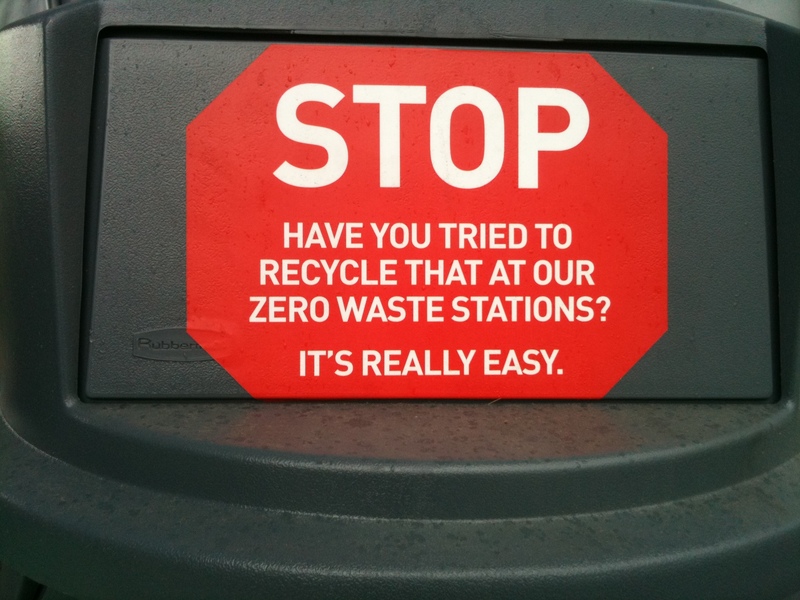 We tested the Zero Waste Stations at our 40th Anniversary/Earth Day celebration in April, 2012. A huge thank you to the 1st Alouette Pathfinders and our Supported Workers for being the first ever station attendants! Next Repair Cafe on Friday, May 3, 4:00-8:00pm at the Ridge Meadows Home Show! Celebrate Earth Day is on April 13, 2019!! Stay Warm & Cozy! RMRS February, 2019 Newsletter now online! Renew Your Membership (or JOIN the Ridge Meadows Recycling Society)!